DEERFIELD BEACH, Fla., September 17, 2018 – JLB Florida, a leading South Florida web design/development and internet marketing firm, has relocated their Florida business office to a new location in Deerfield Beach (just north of Fort Lauderdale) accommodating their continuously expanding growth. Partnership and loyalty from our clients have fueled our continued growth and expansion. This move will also help us better serve our valued customers. “We are continuously working hard for our clients, developing and launching new products and services that focus on the client and the success of their business. This is just one of many exciting developments,” continued Chris Wolff. 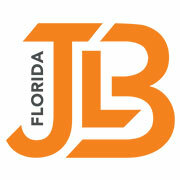 For more information, please visit www.jlbflorida.com, call 954-530-6125, or email [email protected].